This fund-raising event is held in March each year (see March newsletter for exact dates) and benefits our local volunteer fire and rescue department. Enjoy chicken and ribs from Central Catering and don’t forget to sign up for the many wonderful raffle prizes. Each spring the city sponsors a city-wide clean-up day. This is a great time to unload some of your bigger trash items. Check the monthly newsletter for dates and details. Grab your Easter baskets and head down to the Salix Park on the Saturday before Easter for the annual Easter Egg Hunt!! The Salix Auxiliary hosts this events for kids through third grade. The hunt begins at 9:30am. Make sure to bring your own basket!! Salix Fire and Rescue hosts the annual “Trunk or Treat” on Halloween night located at the community center. Anyone interested in passing out treats in the parking lot is welcome to join us. Bring the kids out to this safe and free event. For over 40 years, the Salix Firemen’s Auxiliary have hosted an annual Christmas Craft Fair. This fair is always held on the first Saturday in December and has over 50 vendors. Homemade soups, taverns, hotdogs and cinnamon rolls are served for lunch. Admission is FREE! Grab the kids and head down to the Salix Community Center and let Santa know what is on your Christmas list. Light refreshments provided. Families are encouraged to bring canned items to help our local food pantry prepare food baskets for those families in need. See December newsletter for dates/times. 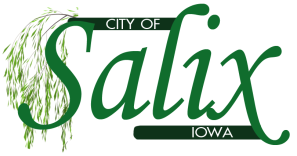 The Salix Neighborhood Circle hosts a Christmas Coffee in December each year in the Salix Community Center. Spend the afternoon with friends and neighbors while enjoying entertainment, refreshments and raffles. Paper goods such as paper towels, tissues and toilet issue as well as shampoo, laundry and dish soap are encouraged for price of admission. See December’s newsletter for details including date and times.